Destroying the Kriegsmarine after Sealion? After reading a number of posts here, I’ve seen it suggested that America should aim to destroy the German navy the same turn it takes London (and effectively trap surviving land units). However, I don’t understand how America is supposed to achieve this. As far as I understand the rules, America cannot have warships beyond Sz101 and Sz102 until the turn London falls. Granted Sealion occurs in Sz110, then there is no way for American warships to reach Sz110. This limits the attack to only air power. It is possible for carrier aircraft to rendezvous with ACs at sz104 if they started at sz102. However, this seems an underwhelming attack. Could someone explain to me how this American counterattack is supposed to work? If america can get a lot of bombers on EUS and a loaded carrier or 2 in sz102, then it is possible. All he will need is a landing spot for the bombers. This would mean that Ireland or scotland would need to be allied controlled. 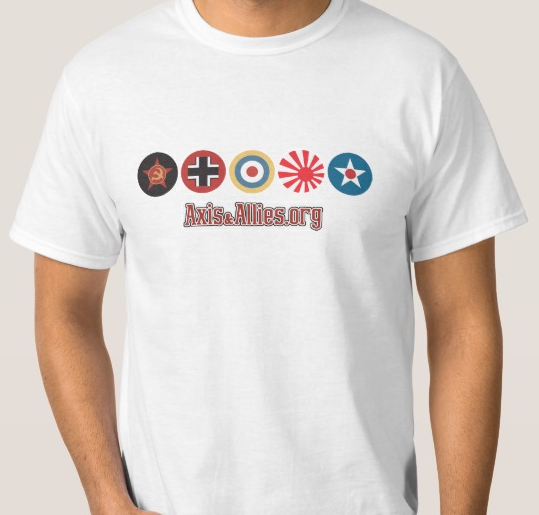 …American should also be prepared with their navy situated to move in case Japan brings the US into the war early. If the goal is to liberate London or even threaten the German fleet once at war, I suggest going to sea zone 106 instead of 91… there are fewer opportunities for the Axis to use blockers and stall the overall mission. With the aim of liberating London, I understand moving the navy to sz106, but I can’t see a liberation happening until US4-5 (at least, certainly not on US3). What I was trying to understand is how it would be possible to destroy the Germany navy at sz110 in US3 (immediately after a capture of London). I don’t have the map infront of me, and I don’t think destroying the 110 fleet immediately after London falls is possible. 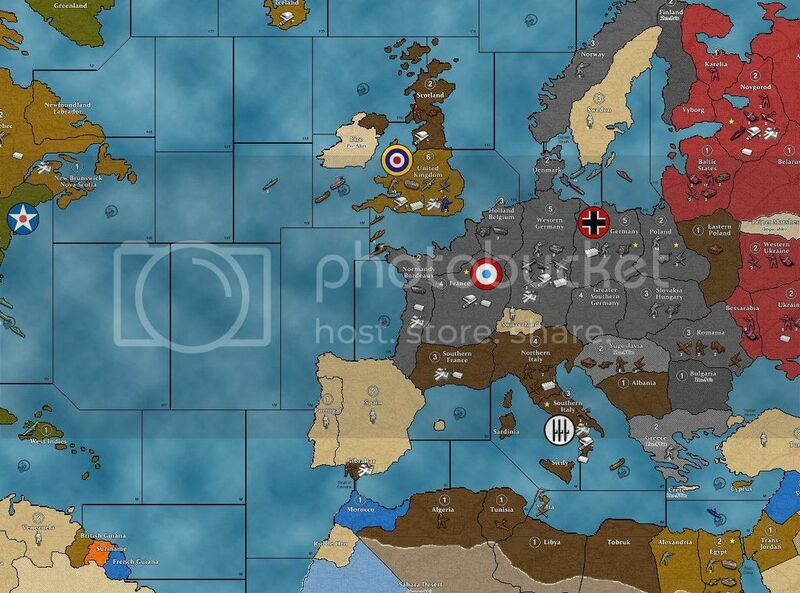 However, some players activate Eire with UK, to allow for a US landing zone. Don’t know if that is going to provide you the range you need though? AFAIK, Garg and YG are right. Consider 2 loaded CV in SZ102, and 3 STRBombers in EUS. No early JDOW, so USA has 20 IPCs less first 2 turns. Germany can defend SZ110 with approximately 1CA + loaded 1CV (4units, 5hits). Sometimes they also have their BB left, but then the UK also has more ships left. 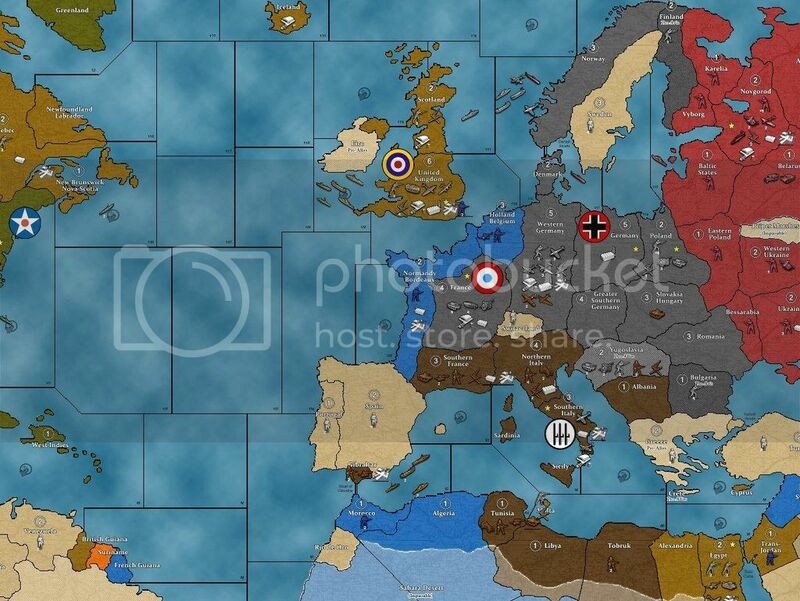 Anyway, with this warfleet and London captured, Germany can barely keep Russia out of Eastern Europe, especially if the Kriegsmarine is destroyed (no land units being retrieved from there). 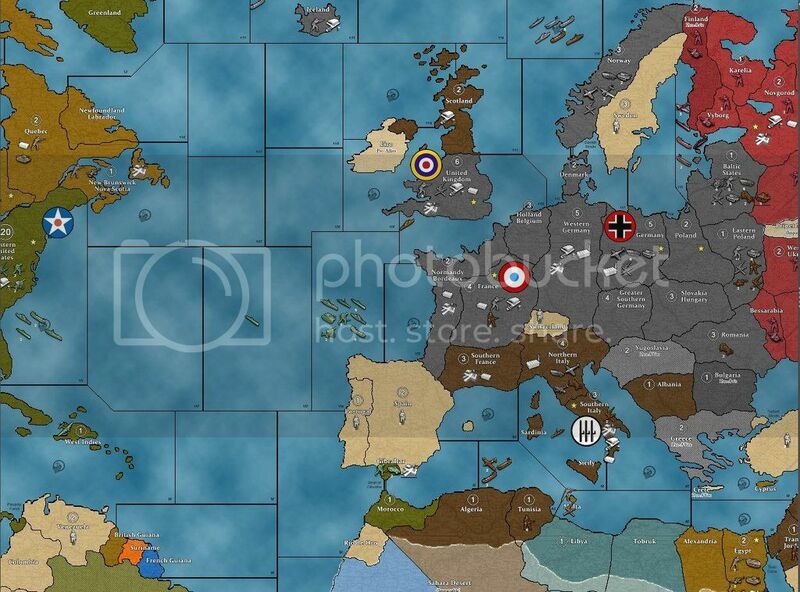 If Germany invests in a bigger warfleet, I am afraid they cannot hold off Russia anymore. Back to the USA. They can have 7 aircraft attacking (indeed surviving STR landing in Eire) and 6 loaded TRS, or, at the expense of TRS, buy even 3 more STR (for a total of 10 attacking aircraft). All considering no early JDOW -and thus less income for the USA. I think it is impossible for Germany to ward off both the Russians AND adequately defend its kriegsmarine. Warning #1 less than 10 inf and 3 fighters in capital. Warning #2 Italy takes Gibraltar and has a strong fleet. Italy positioned planes in Germany to bomb the airbase if needed. 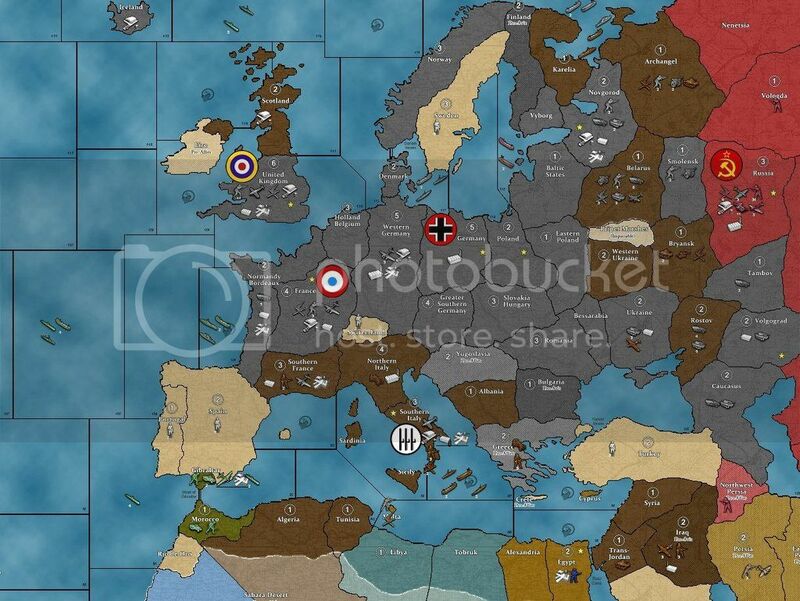 The key map is number 4 where you see the German tanks make it back to Germany/Norway. Taking the transports out with planes to prevent this is the obvious solution but it may be more difficult if Italy has a navy. If you lose Gib on round 1 and Italy has a navy then you may not be able to defend seazone 102. 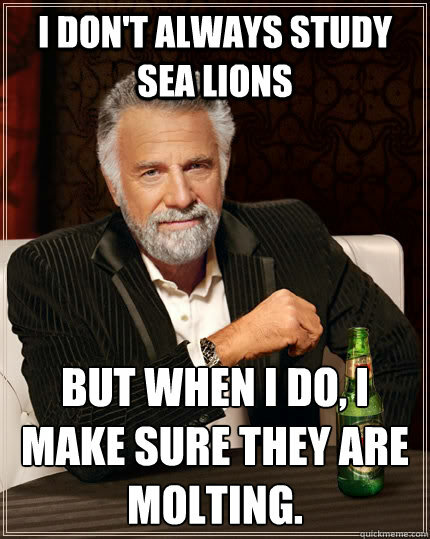 Remember if the carriers take hits the planes sink. If USA Builds bombers instead then you make sure they cant land by taking Eire and consolidate the navy with the German navy. There is obviously mistakes by both sides in this game but I’m just using it as an example. The best way to defeat Sealion is to avoid it all together by defending London and Gib on round 1.
well, italy runnign wild is EASILY made up by the fact that germany made 70+ ipcs worth of transports that will hardly do anything to help him vs russia besides threatening Novgorod. With US entering the war soon, italy will be beaten, you would just need to conserve your afircan forces and try to slow down or contain italian advances. You dont need to hold egypt, you just need to prevent him from getting too much more. Usually of germany tries to sealion, Japan does not bother you on J2 to prvent US from entering earlier. The extra money you wil collect from controling your stuff in the pacific can be used to make stuff than can reinforce persia. Eventually when germany is going full bore on russia, you can just leave a strong garrison on uk and start wearing italy down and investing your money into africa/persia from the europe side. @DutchmanD: Oh, this is no more ahistoric than Italy being able to take Syria, Iraq, Jordan, Egypt and the rest of the Mediteranean when they could even beat the Greek army with their entire military. Not to mention one of the most significant ahistorical flaws of G40, which is that the French troops in Aremain loyal to the Allies for some reason, not Axis Vichy… and, if they are not at war, why are they killing Brits mercilessly on Italy 1? Don’t get me started on the whole “orginally owned” territory nonesense either, the Germans can buld a major IC in Norway and the UK can build one in Malaya, but the Japanses cannot build one in Shanghai; the Japanese were the first to build factories in Shanghai around 1900 after the First Sino-Japanese War, and by 1937, when they fully officially occupied the city, it had more manufacturing power than the rest of Southeast Asia combined! Dice Gods forbid the Japs actually being able to make a major IC in an actual manufacturing center that they originally created Ahistoric… hmpf! Nothing like an instant 10 tnps build by the Germans and the dissappearance of essentially the entire Royal Navy in the Spring of 1940 to make you give up on all the historical aspects of the game we love… All good points, but directed more at game mechanics than historical accuracy. I agree that the production cycle is not accurate to real life, it should take 3-4 turns for a BB to be built, but the game is not made for that scale. All units you can build are placed almost immediately. Both the US and UK fleets are severely nerfed, most likely in order to give the axis a chance that they didn’t have in RL. 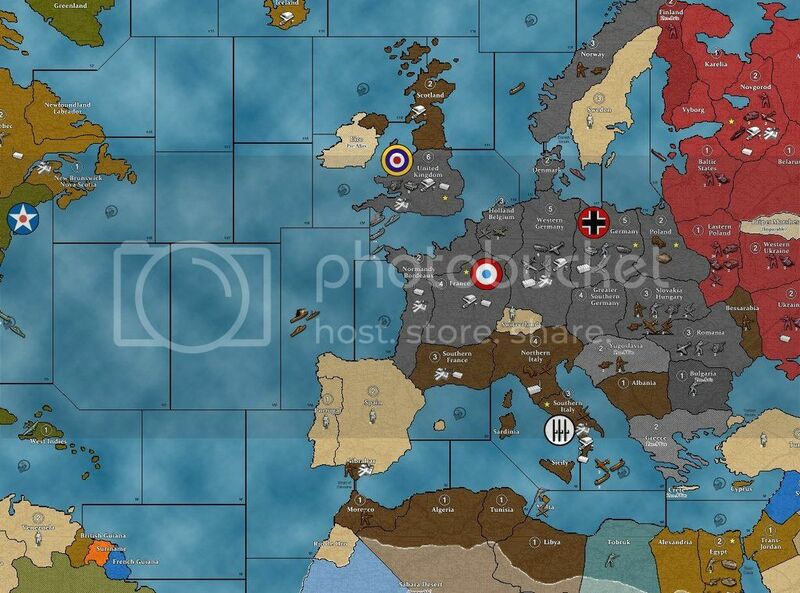 As for the other issues, I understand why Vichy is not in the game, you have to draw the line somewhere and Larry choose to add France but have them be inert, while China is also hamstrung. Otherwise you get a community of people clamoring on the BBS from Bulgaria wanting special Bulgarian rules or some other nonsense. I have played a game where Japan could build a major in China and it did seem overpowered. It was maxed on production and China was quickly swallowed up. It took massive US naval builds and tenuous fighting from India to stall the Japs. Japan was also able to not build many trns in that game and still concentrate on the Pacific islands. Thanks for going over the Abandon London moves again James. One would assume they became even more potent in A3, have you had the opportunity to try it yet? 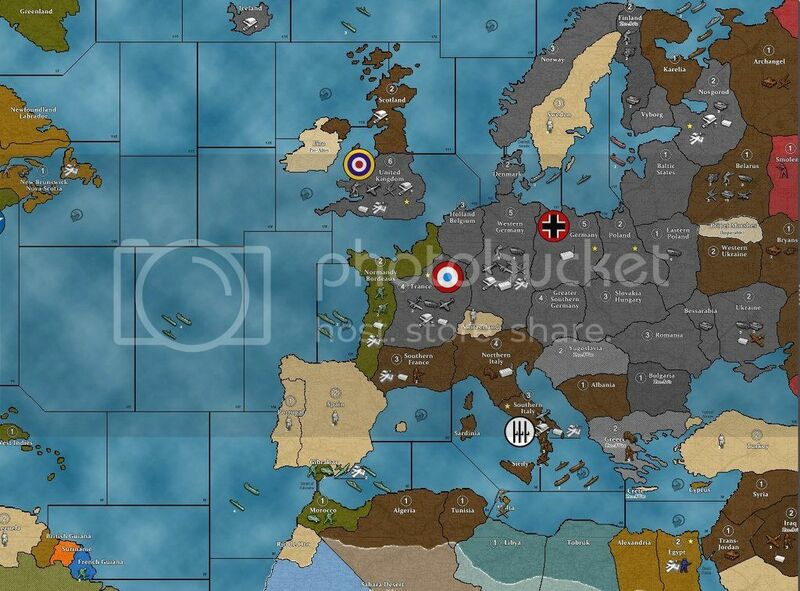 It’s playing the allies like the Axis, creating the initiative and then keeping it long enough to sack Italy…hopefully. The 2 TP purchase is crucial to ensuring that the British cannot forgo turn 1 defenses for a G2 Sealion. It also allows for a G2 Barbossa purchase with the TP’s hitting up the Russian coast should you be in such a position, or better positioning for a G3 assault on Russia. I know CJenn’s tactic. ï¿½ It’s just another variation of what we’ve had since the summer of 2010. ï¿½ I think hitting 109, 111, 112, and 106 but not 110 and 91 is more corriganbp’s tactic. CJenn does it too now, but I think she used to hit SZ110 instead of 109 until corriganbp convinced her 109 was better. If I had to leave 1 alone, it would be sz111, as those ships can’t get away from you on turn 2. The only reason to leave one of the UK BBs alone is so you can do 109. I don’t think you can do both 109 and 110 (along with 112 and 106 heavy) due to UK scramble options. They, with France, can scramble 3 fighters to 110 or 4 to 109. They can’t do both scrambles at the same time of course, but as Germany you have to cover for both and I don’t think they have enough air to do so, at least not without skimping a bit in another battle. @Elsass-Lorraine: @NotEvenJail: Its starting to feel like this guy is just trolling us with these “essays.” I mean come on, man. Many of these statements are way too out of touch. Can’t be serious. I would hesitate to jump so far so quickly. He/she probably is just discovering this forum and/or other sources of strategies, and their game group has probably been disconnected, if you will, from the most effective strategies that the wider A&A community takes for granted. I will note that in his first essay (the Barbarossa one) he mentioned how G40 had recieved “little attention on this blog”, which I take to mean the main axisandallies.org website (which most definitely does have a lack of G40-related articles, last I checked) as opposed to the forums. 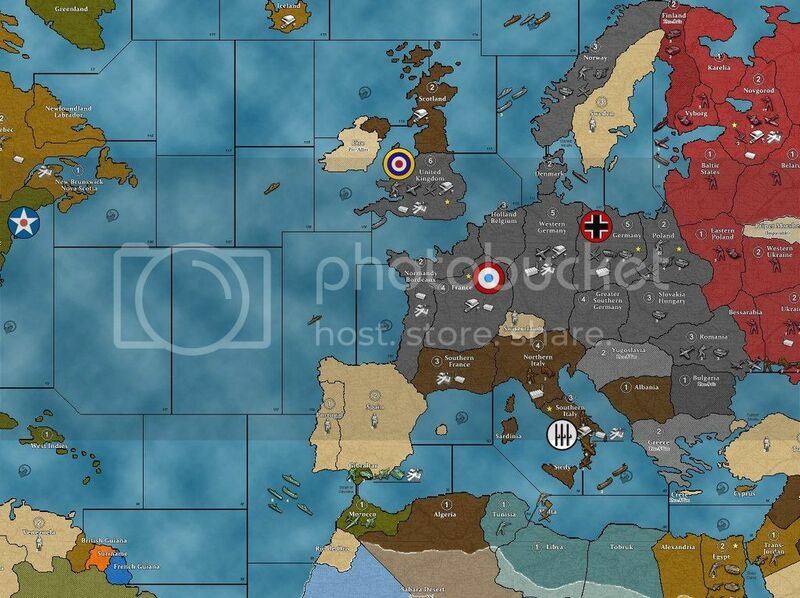 I knew about axisandallies.org the site long before I knew about the forums, so maybe that is what happened here. I didn’t mean to be harsh just speculating. I get it. This game is special because it has a lot more nuance than one would readily perceive. I have no problem with the thread just made me scratch my head.